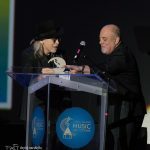 The Long Island Music Hall of Fame has once again proven Long Island’s significant and diverse contribution to the International Music community with its presentation of its Seventh Induction Awards Ceremony & Fundraising Gala at The Space in Westbury, NY. 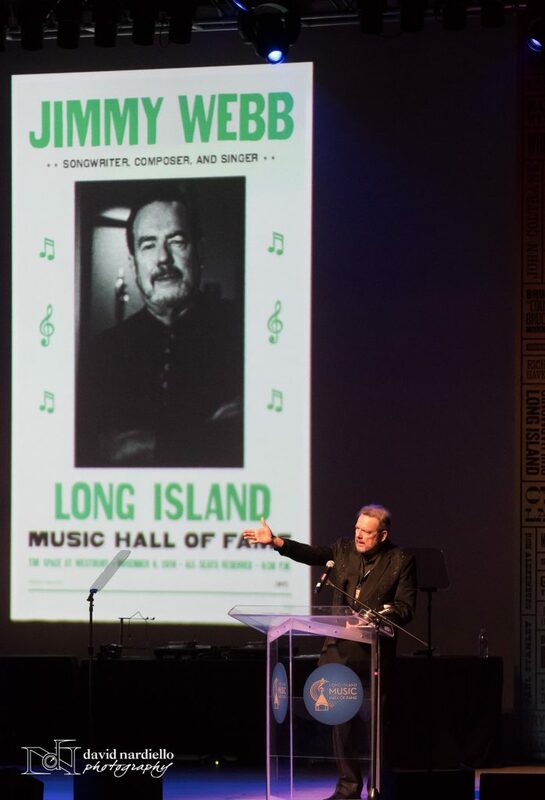 Since being founded in 2004, to promote, preserve and share Long Island’s musical legacy, the LIMHoF has inducted over 100 world class musicians and music industry professionals. 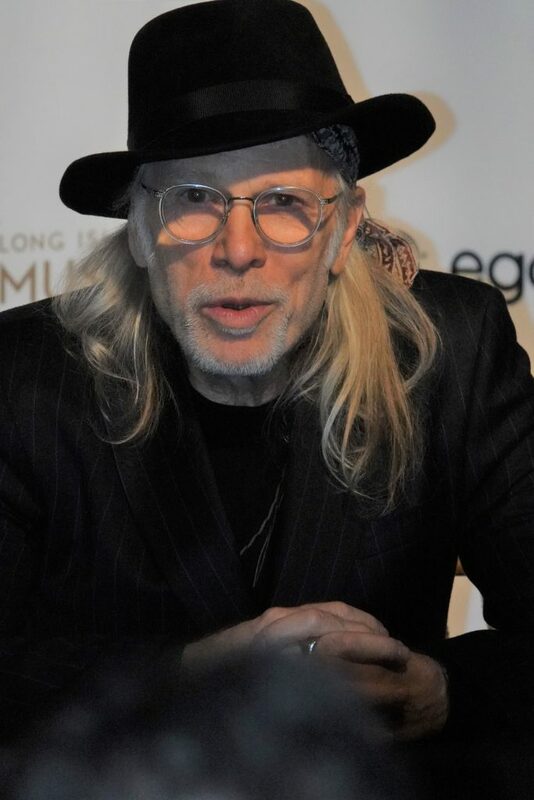 This year’s event, magnificently produced by Jim Faith, confirmed Long Island’s limitless talents and its commitment to the music industry on an international level. 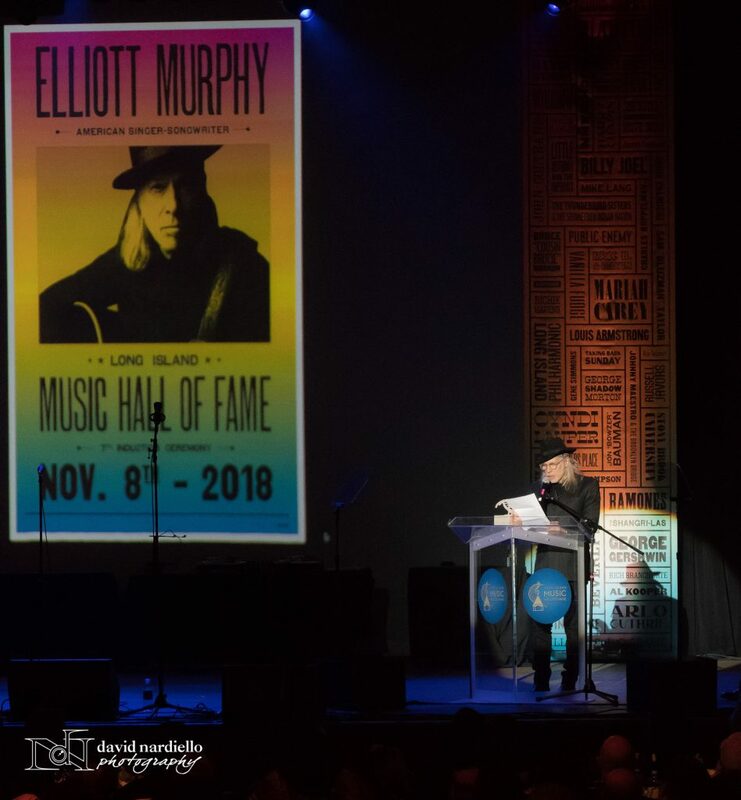 The 2018 inductees included yet another extraordinarily diverse cross section of musicians, radio personalities, producers, promotors, educators, publishers and music executives that validate Long Island’s exceptional contributions to the music industry. 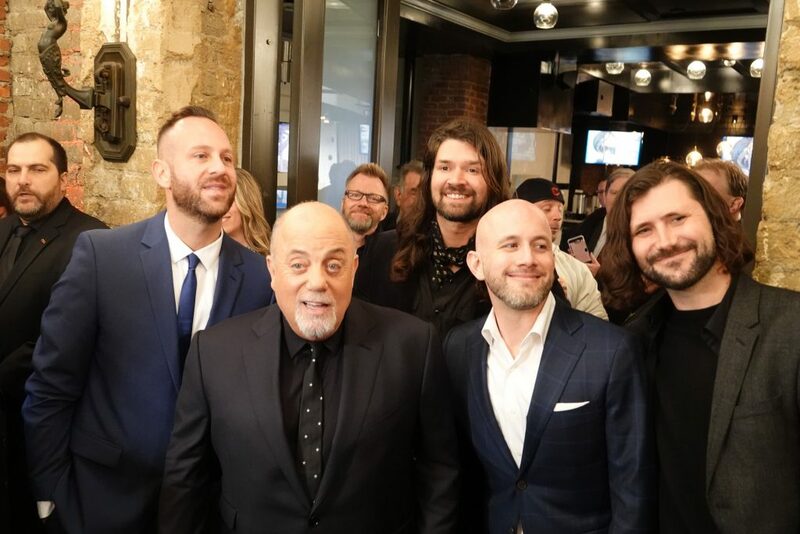 This year the honorees included alternative rock band Taking Back Sunday; legendary hip hop group EPMD; the co-creators of 1969’s Woodstock Music and Arts Festival Michael Lang and American musician/record producer/music promoter/executive Artie Kornfeld; co-founder of Sire Records Seymour Stein; American songwriter/composer/singer Jimmy Webb; American singer-songwriter Melanie; Sha Na Na band member and game show host Jon “Bowzer” Bauman; Rock singer-songwriter/novelist/producer/journalist Elliott Murphy; American radio performer Bruce “Cousin Brucie” Morrow and Rich Branciforte, founder of America’s oldest regional entertainment newspaper, Good Times Magazine. 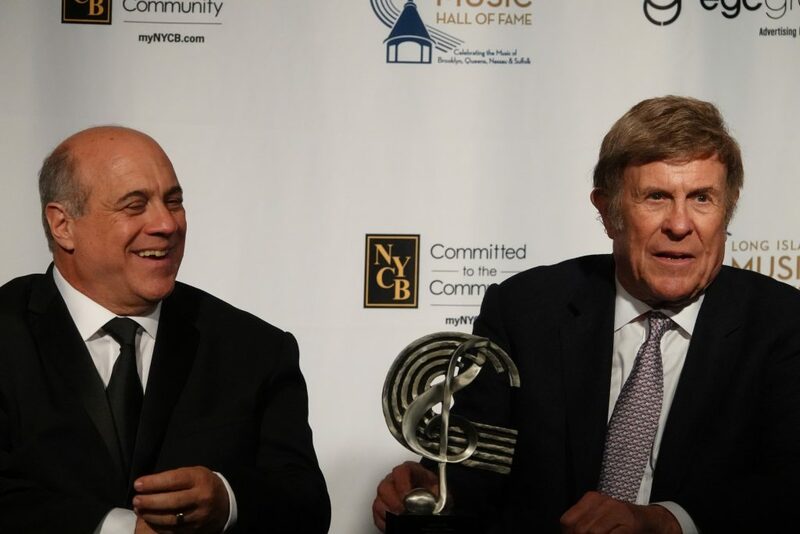 All of the 2018 inductees were either born, raised, founded, or have resided on Long Island for a significant portion of their lives and/or careers. 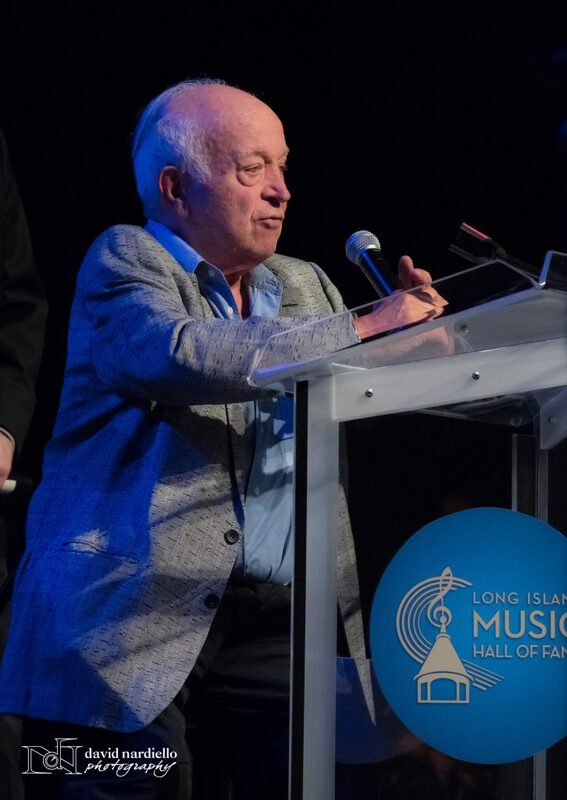 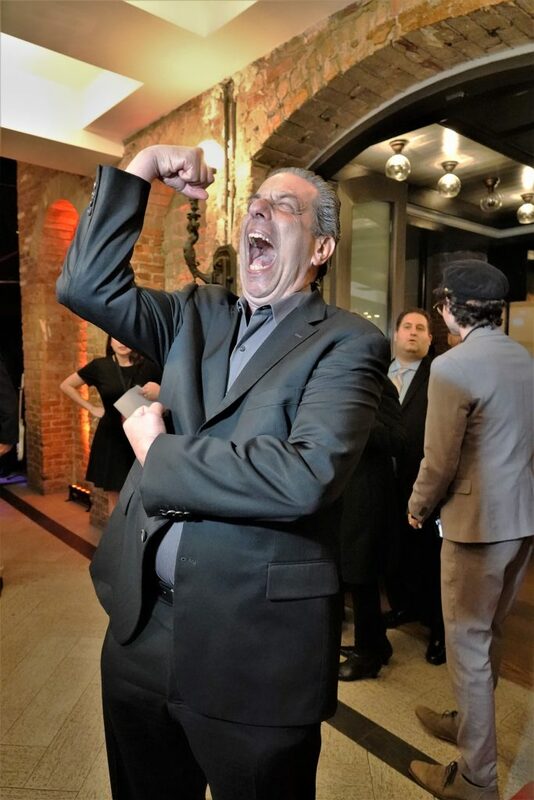 If the list of inductees isn’t enough to support its mission, the LIMHoF placed an exclamation point on the event by having such Long Island greats such as Billy Joel, Ron Alexenburg, Dennis McNamara, Larry “The Duck” Dunn, Jackie “The Jokeman” Martling and Chuck D of Public Enemy presenting and inducting the evenings honorees. 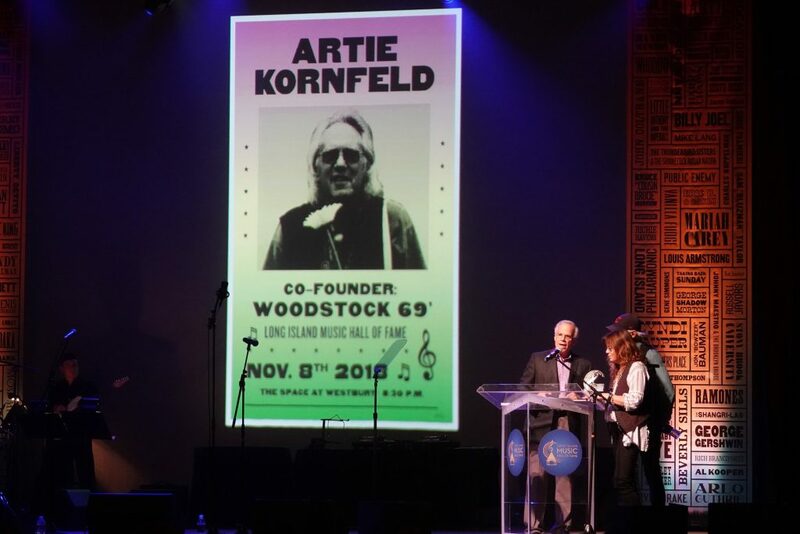 It was even more fitting when Melanie inducted Michael Lang, a co-creator of the 1969 Woodstock Music & Arts Festival, the Cowsills presentation and induction of Artie Kornfeld, another co-creator of Woodstock, and Ron Alexenburg’s awarding the honor to Melanie. 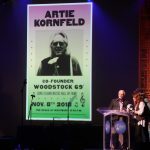 For those of us sitting in the audience, we realized very early on that we were in for one spectacular night when Jim Faith, one of the organization’s founding board members, opened the evening when he stepped up to the podium to honor songwriter, composer, and singer Jimmy Webb with the evenings first award. 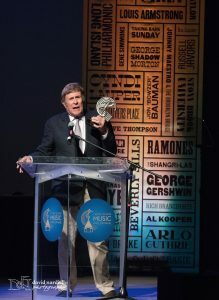 Prior to his induction, the Grammy Award song writer performed well known songs such as MacArthur Park and Glen Campbell’s Wichita Lineman, which sold over a million copies. 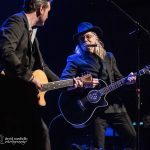 In addition to being inducted into the LIMHoF, this multiple Grammy Award winner has been inducted into the Songwriters Hall of Fame and the Nashville Songwriters Hall of Fame. 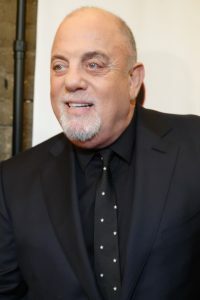 He has received the National Academy of Songwriters Lifetime Achievement Award, the Songwriters Hall of Fame Johnny Mercer Award, the ASCAP “Voice of Music” Award and the Ivor Novello Special International Award. 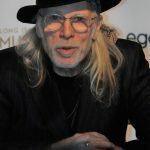 Speaking at the press table afterwards, Mr. Webb explained that being inducted into the Long Island Music Hall of Fame is an incredible feat that ranks right up there with his other accolades. 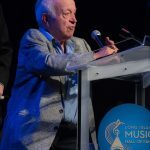 Mr. Webb also explained how the art of being a pure song writer transformed over the years, noting that today’s song writers not only write the songs but sing and perform them as well. 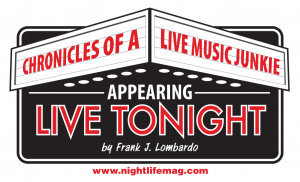 When Nightlife’s ‘Appearing Live Tonight’ caught up with Mr. Webb he was found to be incredibly captivating, sharing his experiences in the music industry writing for various artists such as Glen Campbell, Michael Feinstein, Linda Ronstadt, The 5th Dimension, Art Garfunkel, and Richard Harris, just to name a few. 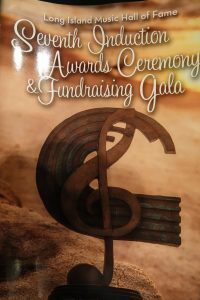 Chairman of the organization, Ernie Canadeo excitedly told ‘Appearing Live Tonight’ that the evening’s celebration was truly spectacular, with a sold out show, terrific performances, speeches, and a record amount of money raised for music education. 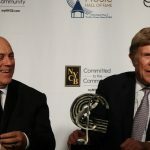 The proceeds of the evenings events is ear marked for the LIMHoF’s commitment to raise funds for music education programs, scholarships, and to the development of its mobile museum. 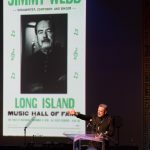 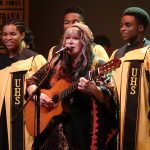 Each year, the Long Island Music Hall of Fame grants thousands of dollars in music scholarships to individuals and organizations seeking funds. 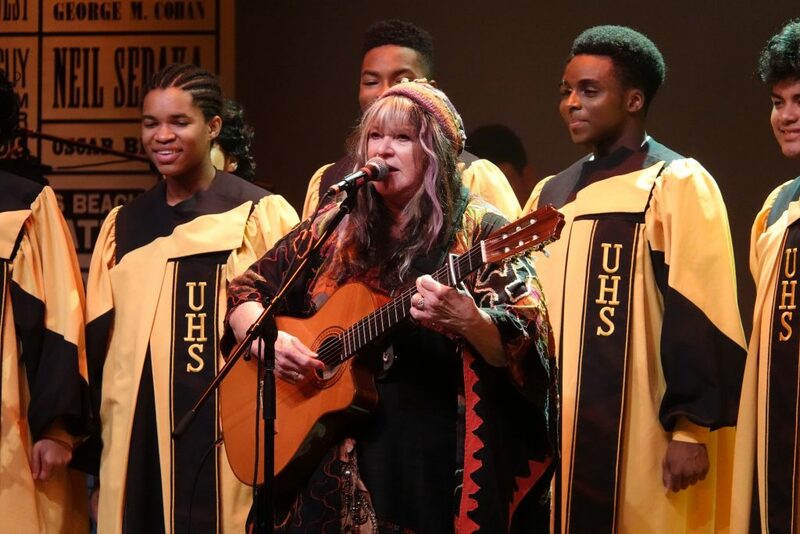 Student Scholarships awarded by LIMHoF provide funding for graduating Long Island, Brooklyn and Queens high school students who have shown an interest in pursuing a career in music. 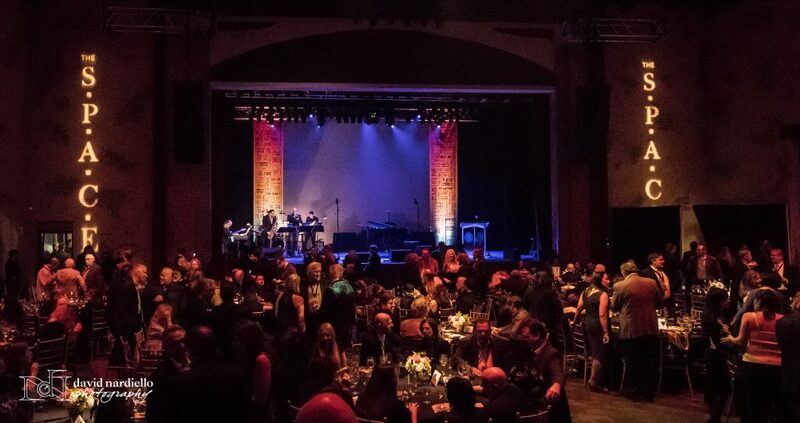 Jeff James, another LIMHoF Board Member, explained to us that each induction event has a unique and intimate behind-the-scenes moment whereby the inductees meet and converse not only with each other or the organization’s volunteers, but with the fans as well. 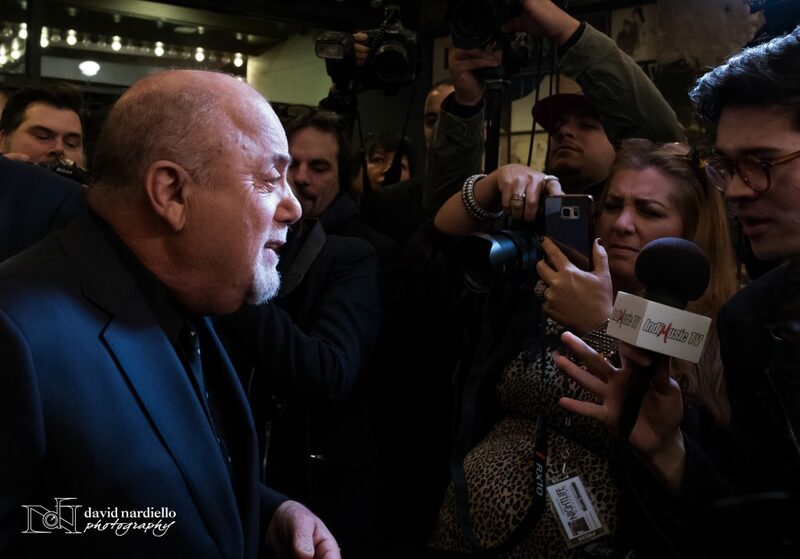 While Jeff spoke with us, we witnessed presenter and former inductee, Billy Joel talking with the members of one of the evening’s inductees, Taking Back Sunday while Melanie was having a discussion with Cousin Brucie. 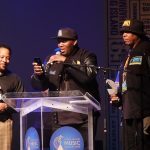 This year, for the first time, The Hired Gun Award was presented to honor musicians who have significantly supported other artists. 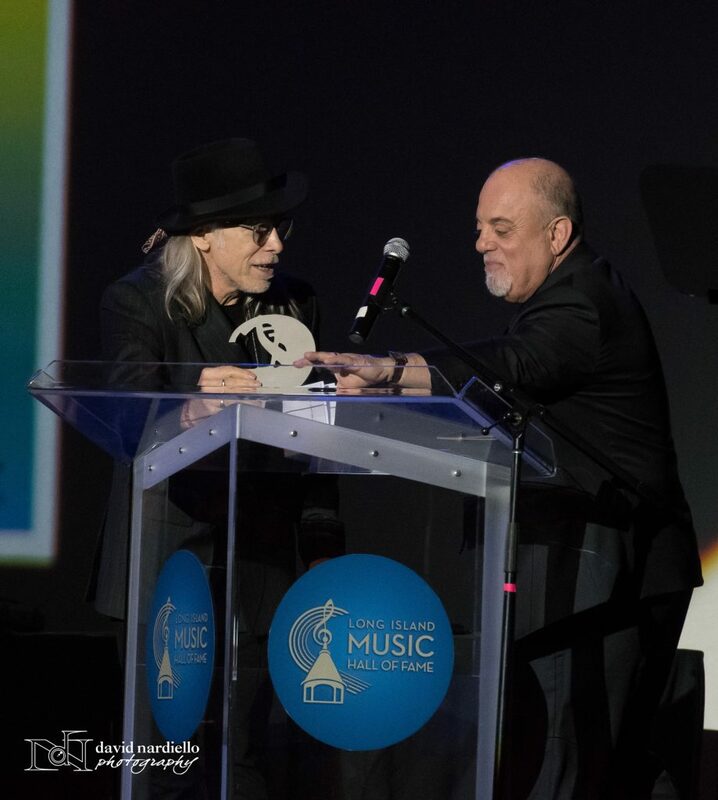 The first recipients of this award were bestowed upon Oceanside’s Tommy Byrnes, (known as longstanding guitar player for Billy Joel and other past Hall of Fame Inductees such as Joan Jett, The Stray Cats and Taylor Dayne) and Glen Head’s very own Glenn Drewes (Jazz trumpeter with Dizzy Gillespie, Buddy Rich, P. Diddy and Sesame Street). 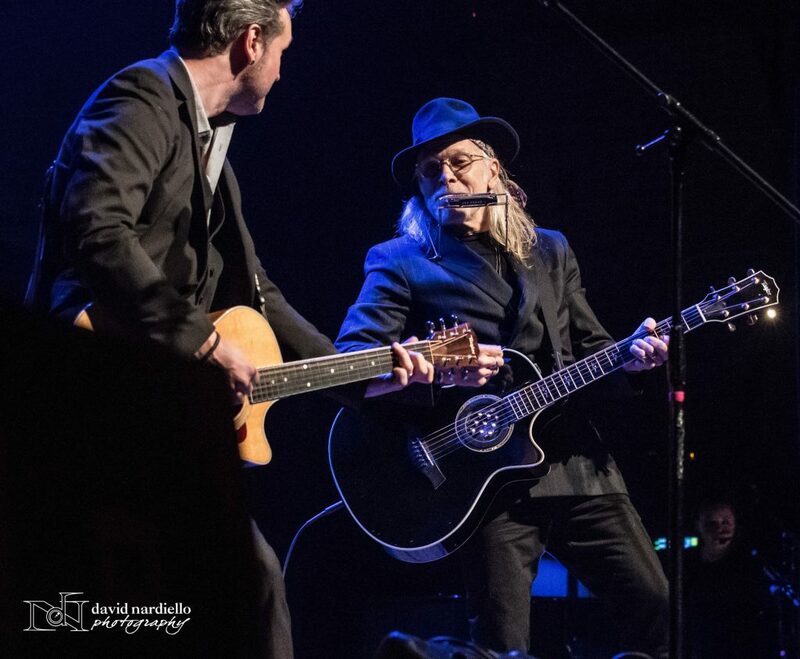 In mimicking the mission of the organization, both “Hired Guns” emphasized the variety of significant roles Long Island musicians play not only in the recording and touring industry, but how they can also be found playing in the orchestra pits of Lincoln Center, Carnegie Hall and almost every theater on Broadway. 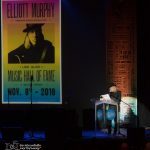 To highlight the evening even further, Billy Joel’s induction of Rockville Center born and Garden City native, Elliot Murphy, [“singer-songwriter, rock troubadour, indefatigable road warrior (over 100 shows a year!) 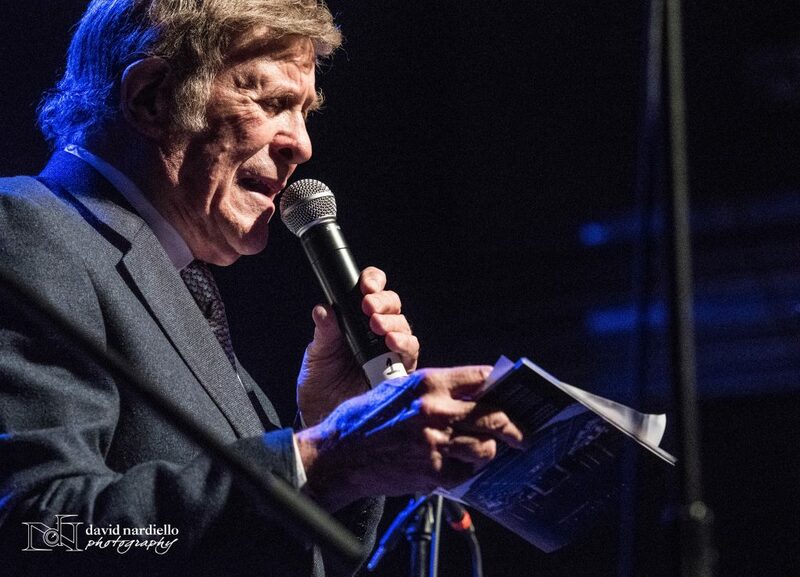 and prolific author of fiction”] brought the crowd to its feet to honor the artist and performer. 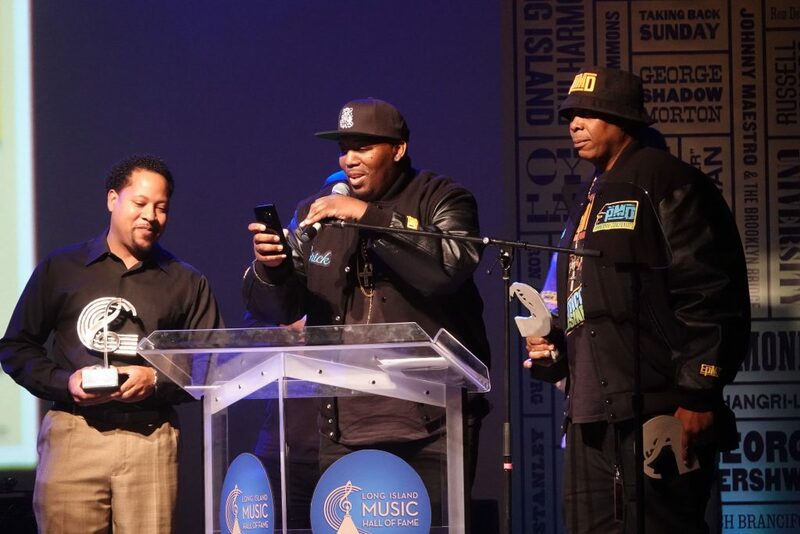 In confirming Long Island’s role in the music industry, Erick Sermon and Parrish Smith of EPMD were also very adamant that Long Island musicians and artists have played significant roles in the industry and the world of music and that such artistry is not only generated in New York City or stops at the east river, but expands to eastern Suffolk County as well. 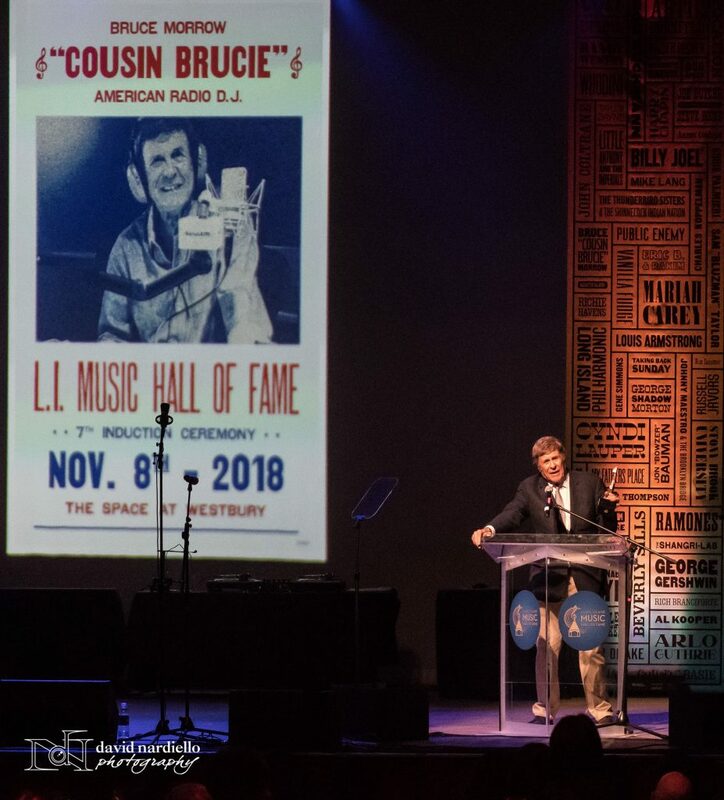 With all the entertainment in the room it was “Cousin” Brucie Morrow who may have been the biggest attraction of the evening. 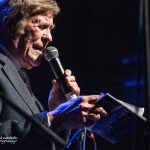 Cousin Brucie touched the lives of so many people. 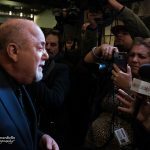 For over fifty years and many generations his voice filled our homes as he relayed the music and culture of the times to his listening audiences. 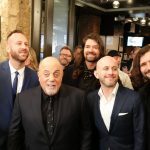 He was very frank in his explanation regarding the role the Beatles played in, not only the start of the British invasion, but how these “four mop tops” changed the national spirit in this Country that was currently experiencing racial and political strife. 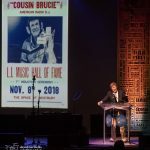 Cousin Brucie explained how the Beatles “showered us with love through the spirit and energy of rock and roll”. 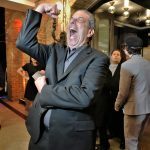 The evening was summed up best by music fan, Joann from Massapequa who expressed what a great evening she had experienced. 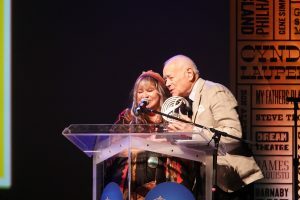 Joann candidly told us that she hadn’t quite understood the impact that Long Island has had on the music industry until she attended this year’s LIMHoF’s Induction Awards Ceremony, and how she was left with a newfound admiration for the itty bitty corner of the world she lives in, and a deeper appreciation for the Long Island musical talent that has influenced and helped shape the music industry as we know it today. 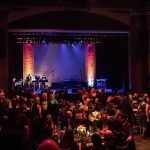 Nightlife’s ‘Appearing Live Tonight’ wants to applaud the Board of Directors and members of the Long Island Music Hall of Fame and Jim Faith with his entire productions staff and all the volunteers for their celebration, recognition and preservation of Long Island’s exceptional and diverse musical heritage.